Lava Iris 406Q, company’s latest smartphone with Android 4.3 has been officially launched. The Lava iris 406 Q comes with good specs although its price is not announced yet. It comes with 4 inch 480 x 800 pixels WVGA display and 1.2Ghz 4-core CPU integrated with Adreno 302 GPU for better graphics rendering. Like other most of phones (nowadays) it also supports DUAL SIM with Dual Standby. The Iris 406Q can be upgradable to Android 4.4 Kit Kat. It has 1GB of RAM and 4 Gigs of internal storage, out of which 2.25GB is available for the user. It is powered by 1700 mAh battery, should be enough for such screen size and resolution. It packs with 5-megapixel AF primary shooter with LED flash and a VGA front camera. 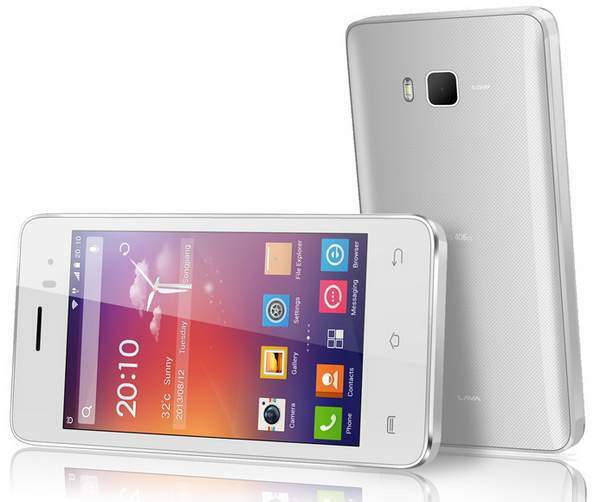 The Lava Iris 406Q ( LI 406-Q) has 3G, WiFi, Bluetooth v3 with A2DP, FM radio and GPS. The Expandable storage is up to 32GB. It would compete with Motorola Moto G and Xolo A1010.